Morrissey has a new label home. The former Smiths frontman is now a member of the lineup for Harvest Records, a record label imprint of Capitol Music Group and has signed on for two albums with the label. Morrissey has long promised a new solo album, and now, he says to expect the new release to arrive sometime later this year via a worldwide recording agreement with Harvest. 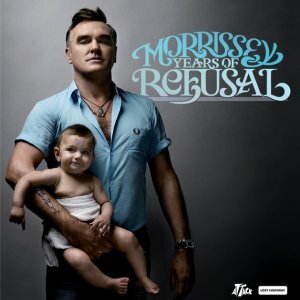 Morrissey added that he’s “thrilled” to be a part of the Harvest Records roster and plans to start recording his follow-up to his 2009 album, “Years of Refusal,” later this month in France. Morrissey also promised to head out on a tour in support of the upcoming album, and tour dates are expected to be announced later this year.